Having your novel Critiqued live in a chatroom. Crazy? Maybe. A few weeks ago, I sent the first page of “Fire in the Woods” to the Writers Chatroom. They posted it, and the group critiqued it live, on-line. Nerve racking? A little, but overall it was a positive experience. A few people asked me what I thought of the experience, and what it was like. Well, going into it I felt good. I think mine was number eight “at bat”. As I watched the other critiques go up, I did get just a little nervous. The critiquers had a whole lot to say, and they didn’t hold back. The hard part about it is that everyone talks at the same time, and sometimes they are talking about different parts of your story. Because of this, I copied the pages as they scrolled by, so I could be sure to go back later and make sense of it. 1. The opening seems pretty good. 2. Despite the necklace being important, I don’t want it distracting. I’ll ease back on that a bit. 3. The “Mirrored in the glass overhead” part need to be re-written. This may be confusing, because one person may be typing an answer to a previous post… but meanwhile three or four people have said something else, so the answer comes far down the “scroll” and not right after the original comment. I was going to place everything in “easy to read” order, but I figured I’d show it to you exactly as I saw it. [MODERATOR] End. One minute please! [ZADA] great suspense & description! [Karina] very nice. I’m interested! [DETROIT] Excellent word use and it definetly keeps me wondering what is actually going on. What’s next, the whole house crumbling down? Nice! [MODERATOR] Boop, just use the scroll bar to the right. [HORN] Where did the smoke and fire come from? [BOOP] Pink headphones? the description are fantastic! [MODERATOR] I agree. The descriptions are terrific. [MODERATOR] I am wondering if the necklace has significance. [DEADEND] Teachers try so hard to teach us not to use adjectives and overloadinding description, maybe they should read your short? [GIRLYGIRL] Good. I want to know what’s going to happen. Great suspense and action. User WARRIOR has signed out. User WARRIOR has entered this room. [LAURA] The description was fantastic, although I sometimes felt it was too much – a bit overwhelmed, as it were. [WIDDER] ‘likness mirrored in the glass over the cloud of grey smoke …’ – this didn’t make sense …. otherwise great descriptions … love the macro and micro description. [MODERATOR] I don’t know, MCDONALDS. There are a lot of adjectives, but I felt they made the scene come alive. [GIRLYGIRL] Less commas makes the pace faster I noticed in some places. [LISA] A minor detail. Headphones are worn on your ears. Earbuds are in your ears. [DEADEND] Jesus.. Isn’t it great that we all love what we do? [MODERATOR] Laura, the pink headset said “girl” to me. [WORKING] I like the imagry! But couldn’t follow this “My likeness mirrored in the glass over the cloud of gray smoke wafting into the air” – I am asking myself “glass over smoke? 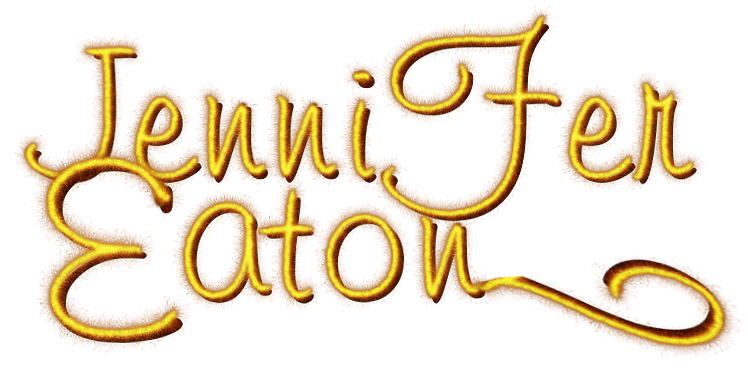 [MODERATOR] This one is from another relative newcomer, Jennifer M. Eaton. [KATTIE] Mirror – maybe it’s ‘through’ the cloud of gray smoke ?? [MODERATOR] Jennifer, is the necklace important? We all want to know! [KATTIE] Jennifer! I’d love to read more of this excellent story ^_^ Write On!! [WORKING] Back story on the necklace would be great. [MODERATOR] ready for the next? There you have it. So, What do you think? Is this an interesting way to get a critique, or totally insane? This entry was posted in General Writing Tips, Senseless Ranting and tagged are chatrooms goos, are chatrooms safe, chatroom, critique, Headphones, live chat, live critique, Necklace, online critique, Online Writing, writers chatroom. Bookmark the permalink. Wow, following all of those real-time comments would be hard. Copying them was a great idea. 🙂 It sounds like you got some useful critique through the process, though. And that’s always helpful. absolutely insane! but what a wonderful way to see if you are wasting your time, is it worth continuing? if wonderful then the critique is priceless in helping you achieve your goal of presenting an interesting story. Yet you would have to be crazy jumping into the unknown that way..wouldn’t you? Evidently not for you took that plunge and received great crit and reviews…you are one brave woman! Of course it’s insane! That’s the best part! it also builds nerves of steel for the crit-er and the crit-ee.